It might look like a print of sorts but it is actually paper cutouts in the shape of tea cup and a tea pot. 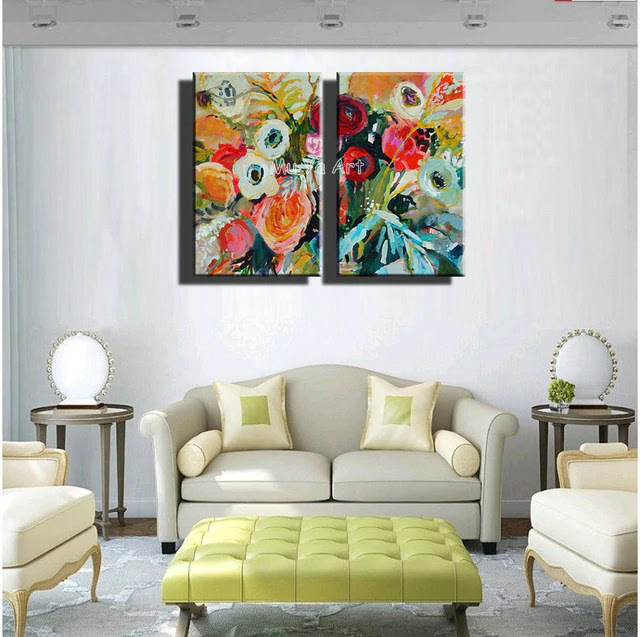 With a white background and the different colored tea cup and tea pot cutouts, this art is perfect for any color in any space. A bold way to add color to a minimalist space is to add a Modern Lines wall art. creation of it is easy enough. By using strings taped to a canvass and two different paint colors, viola! 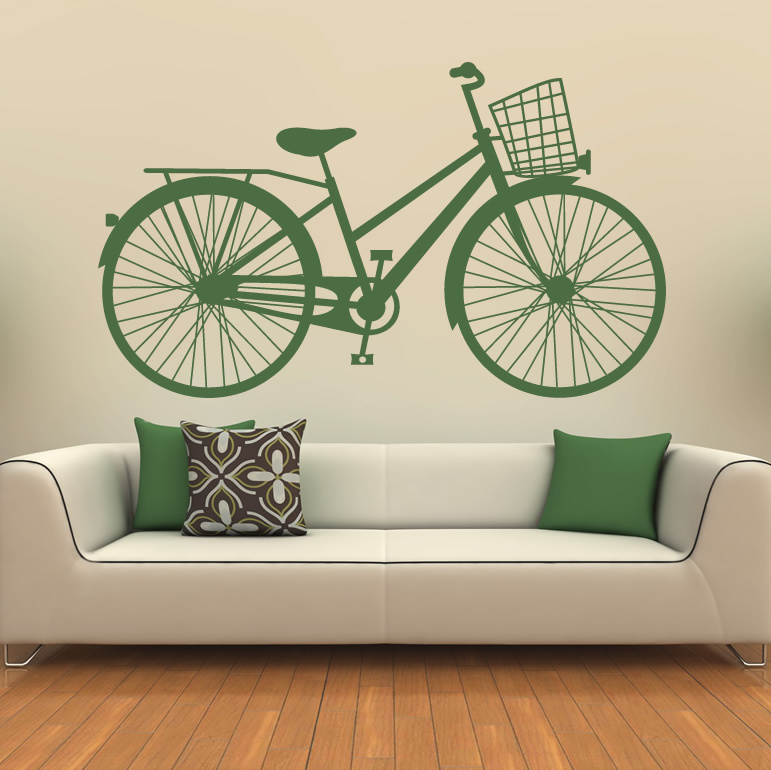 A wall art that can compliment not just a minimalist space but any design in any home. A Deconstructed Map wall art is a perfect gift for friends whose favorite hobby is to travel. Just trace a map on paper and color the land areas. Cut it to be able to frame it to a number of frames. Say six frames. Perfect for any color of wall but that would depend on the color scheme of the trace map. One could up the ante by gold leafing the countries already visited by the friends the gift was meant for. Dark velvet couches and white walls is the ideal compliment to a Happy Dots wall art. Fun polka dots of different colors are printed or stamped on a white canvas using a potato.Such a simple and inexpensive art that go well with walls or furniture of light or dark colored hues. Perhaps the picture of a beloved pet that passed away? Or maybe a favorite tv show character? The possibilities are endless. There are tutorials on the internet how easily this can be done. All anyone need is a printer and should be industrious enough to find those tutorials. 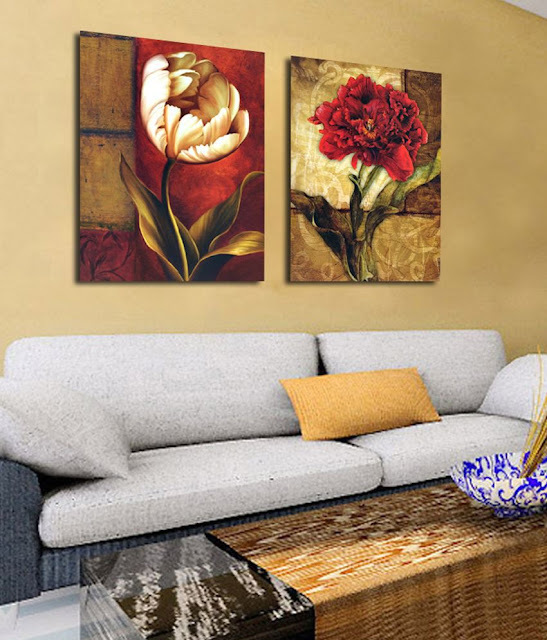 Fabric Panel wall art is perfect if an individual has a specific color scheme or design in mind. It can be easily customizable for any color hue because all an individual has to do is to cover a blank canvas with patterned fabric swatches depending on size. For example, in a turquoise room a person can pick designed fabric samples that have predominantly turquoise coloring to transform into panel wall art. Turn that junk mail into Junk Mail wall art! Cut the prominent pages of the mail into pieces position and glue them on a canvas and there you go. Just hanging them on one of the walls in one's home, one knows that one is doing the environment a favor since the process of turning junk mail into art can be considered recycling. Taking thin pieces of wood, first form them into a hexagon. Then add more wood pieces to make them look like a cube. This design fits people who are into effortless design. Design that doesn't take many pieces to put together. Also, this design can be adopted by people who don't have that big of a budget to pour into designing their home. For people who are into motivational quotes or song lyrics, Quotes on Canvass wall art is quintessential for their personal spaces.Pick a quote. Then simply take a white canvas and using magazine pages, cut out the letters, then spell the sentence. It's that simple. Display the artwork in the living room or the bedroom, it goes with any color scheme. Plus it such an artwork give guests a glimpse of the owner's psyche. Straightforward white canvas embellished with decorative gold paper disks, it gives any space that it hangs on a simple and effortless atmosphere.Hang it on a navy blue wall? No problem. Hang it in a white, pink or peach room cream colored couches? Sure. Why not. Hang it on Thanksgiving or Christmas? Yes.It fits in any room with any color scheme for any occasion.